We have been serving the greater Olney Community for over thirty years and look forward to helping you and your family to stay healthy. A Different Model with Fewer Patients Here at Olney Medical we offer personalized care and near immediate access to one of Washington’s Top Docs. As a board certified internist with over 30 years of experience, Dr. Taubman can diagnose and treat a multitude of problems. Dr. Taubman is an old-fashioned practitioner who likes making patients feel comfortable and taking the time to actually listen to all of their concerns. We are a private health care practice. What does that mean? We charge a small quarterly fee in order to join our practice. By doing so, we have the time to invest in each patient’s care while developing a one-on-one relationship with them. We offer a no obligation first-time visit. Dr. Taubman is the best. Always willing to take the extra time with me when I need it. His diagnosis and treatment has always been accurate and he always follows up to see how I am doing. Dr. Taubman is a great doctor. He will spend as much time as you need with him and let's you participate in the decision making process for your treatment. I have been going to him for 39 years and will never change doctors. As usual, Dr. Taubman listened attentively to the description of my problem, showed concern and sympathy, and recommended a helpful treatment. He is great, he takes the time to listen, always has good advice that does not involve taking a lot of meds. I was pleased with the visit! We discussed the effectiveness of the medicine that was prescribed just three weeks ago. I appreciate Dr. Taubman's obvious talent for medicine and vast knowledge. His office staff is always pleasant and helpful. You feel like a priority when you visit. I will say that I do not appreciate being told that I am doingbetter or worse in a way that contradicts my own experience of pain or functionality. It is important to me that my doctor is hearing my concerns and taking them seriously. I've been going to Dr. Taubman for 30 years. I wouldn't even think about changing doctors. He's the best. I don't think it is very professional that they openly criticized a patient who called with questions regarding billing. It is a legitimate question for people to have. The is the second time I have heard about the front desk staffhaving disparaging comments regarding patients. It makes me wonder what is said when I call in with questions. The staff should realize without those patients they probably won't have a job. That said Dr. Taubman is great as well as the main nurse. 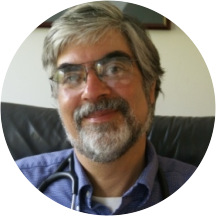 Dr Taubman always deals effectively with acute symptoms I present to him, and very importantly, monitors and treats chronic conditions through medications, testing, life style change recommendations, and referrals to other specialists. The visit with the Doctor and staff was fine, once I got into the exam room. The wait was much longer than usual, but nobody offered an explanation. Other than that, the visit itself was quick, thorough, and highly competent. I like Dr. T., He is thorough and listens to me. He does not lecture me about my weight, tho he will mention it, obviously I already know this is an issue. I think his practice is one of the toptwo I've experienced, I am 60. I am glad I came across this practice and I've recommended him to others. It can be difficult to find a good primary. Also, he has really beautiful hair. Excellent doctor and staff. So happy I switched to Dr. Taubman. Wonderful doctor who is highly skilled and who really listens. Dr. Taubman and his nurse Ginny worked me in three days earlier than my appointment when my condition became worse. Dr. Taubman quickly made arrangements for me to have an ultrasound done at the radiology lab several buildings away just beforeclosing time. Ginny pushed me in a wheel chair all the way there through rain and wind to make sure I could get there on time. And Dr. Taubman called me with the results later that evening and gave me advice for the days ahead. I was very thankful for their caring concern for me and for giving me helpful advice so quickly. He listens, he understands, he helps. Dr. Taubman is a trusted healthcare professional. He embodies the elements of a true healer. It went great...very personable doctor. As always, my appointment with Dr. Taubman went very well. Went about the same as other physical exams. Superior in every respect. Quality examination and a detailed discussion to follow. I love the way Dr. Taubman treats me. It's like we are partners in the care of my health. He listens to my concerns and let's me have input into my treatment. He is also a very knowledgeable and skilled doctor.I feel very lucky to have him as my doctor. Extremely friendly and helpful staff. Dr. Taubman was also patient during our first meeting and did not make me feel rushed. Superior - he knows my case and he is serious an enormously helpful. I have been going to Dr. Taubman for over 20 years. He's very professional and knows his stuff. I trust him completely. He also works with his patients and lets them take part in their health care concerns. He doesn't just dictate what should be done. This is a superior physician. he is thorough, direct in providing advice, clear about results and someone I deeply value over many years. Dr Taubman reviews my file, goes over current medications and any recent test results, and asks questions about my general health. I never feel rushed. His nurse and office staff are very friendly and top notch. Great doctor and great office staff. Seen promptly and referrals as necessary. He's a great doctor. You are not only a patient to Dr. Taubman but you are also an active participant in health care decisions. He is also a very innovative doctor offering more than just office visits. He offers classes onweight loss and other topics and other services such as gym discounts. Dr Taubman and Nurse Ginny are kind, thorough and competent in their care for the patients and their well being! Excellent doctor who is very thorough, takes his time with you, and listens to your concerns. The office staff are very pleasant and helpful. It was very pleasant. Everyone was so nice and helpful. Dr. Taubman was very informative, thorough, professional, and friendly. He listened to my concerns and addressed them. Exceptional over several years as his patient. I am always pleased with my visits at this office. Met my expecations for an annual physical exam. God experience Thorough and complete. Dr. Taubman and his nurse Jenny are amazing! They were very thorough throughout my visit and answered all of my questions/concerns as well as my test results. They definitely took the time to get to know me as a new patient. I would highly recommend. Dr. Taubman knows me as a patient - knows my health care record very well and gets to the heart of issues directly but always listening and asking questions. Visits are an interactive process and excellent in nature. I highly recommend Dr.Taubman ...(and staff)..
Dr. Edward Taubman, MD has no appointments on Zocdoc right now.